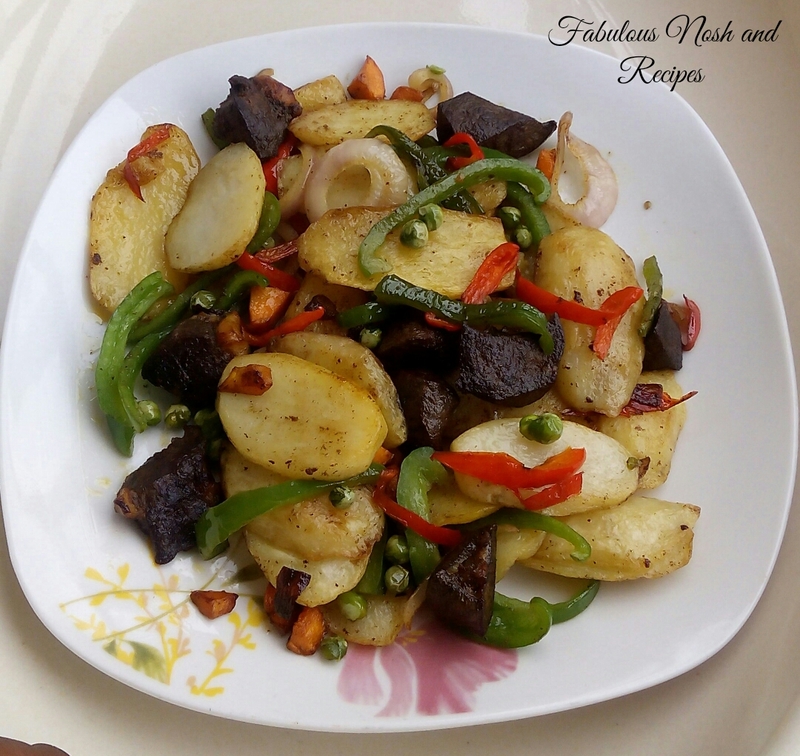 Still trying to figure out why this special delicacy is called Sultan chips… Well that’s a different story for another day, here comes the recipe. 1 medium sized carrots (chopped). 6pieces of liver (cut into small sizes). 6 medium size Irish potatoes. 1 green bell pepper (chopped). -heat 2 spoons of oil in a non sticky pan, add little water, garlic, stock cube, liver, curry and stir fry on low heat till the liver is completely tender and the water is completely absorbed (i used 3 spoons of water) feel free to add more water if you feel 3 spoons will not cook it properly. -peel potatoes cut into desired shape add salt and deep fry, strain and allow to cool down. 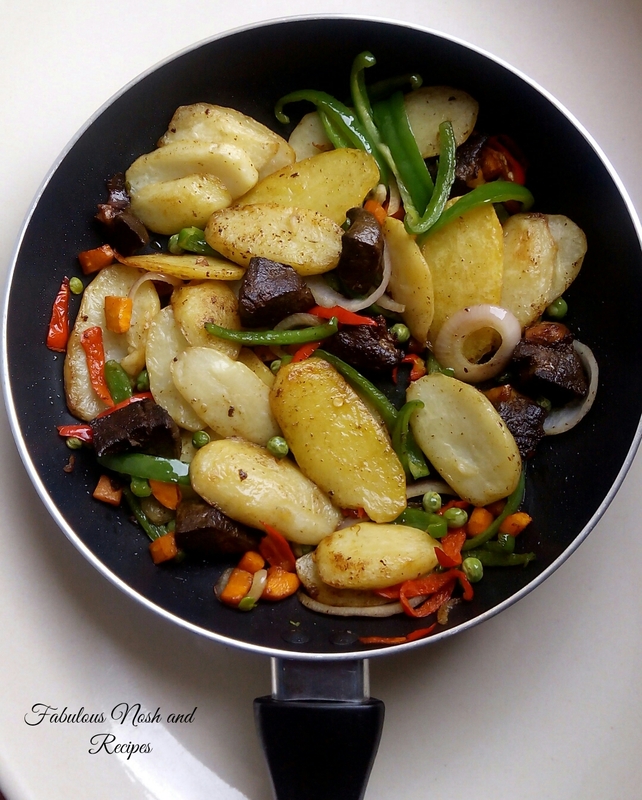 -heat 2 spoons of oil in a non sticky pan add onions, peas, carrots,red bell pepper, green bell pepper, liver stir and allow to steam on low heat for 3mins. -after 3mins add the chips and stir fry for 5mins on low heat again. -use scrambled eggs in place of liver as desired.